Community Leaders have great ideas and they put great energy into making these ideas realities for their communities. Finance is often an obstacle to getting community projects off the ground, but Clann Credo is determined that finance should not be an obstacle. Unlike traditional lenders, Clann Credo takes into consideration the impact your project will have on your community. 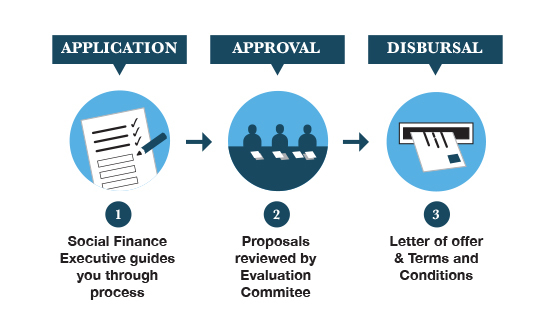 We made the Community Loan application process as simple as possible. There are no long application forms to fill in. If you are applying for a Grant, your existing paperwork should be sufficient. All you have to do is pick up the phone to one of Clann Credo's experienced staff and we will talk you through the process.